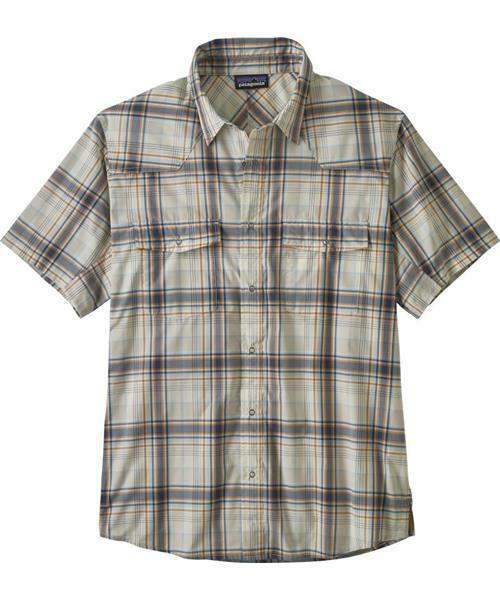 Patagonia's short-sleeved Bandito is built from light and breathable 100% recycled polyester plain weave that’s fast-drying and moisture-wicking. It features a Western look, Polygiene® permanent odor control and bartack venting across the back yoke to keep you cool and comfortable. Gusset construction and eyelet vents under the arms offer maximum airflow and range of motion. The point collar and traditional button front are complemented by two chest patch pockets with flaps and button closures. Ring-snap buttons throughout; subtle shirttail hem has small side vents for additional flexibility.